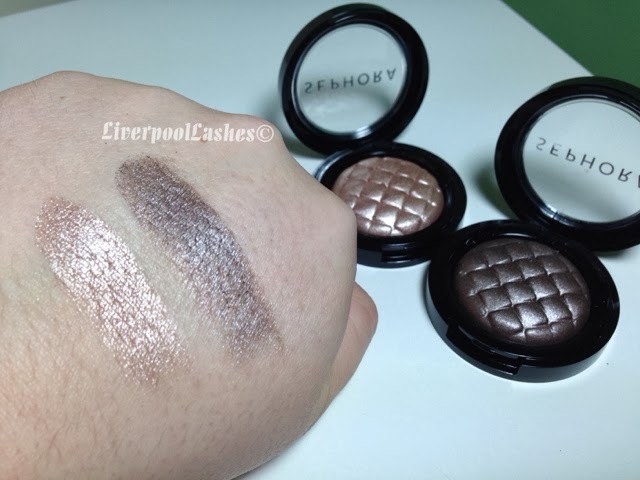 Today's post is on the amazing Sephora Outrageous Prisma Chrome Metallic Eyeshadows in Outrageous Metallic Beige and Outrageous Metallic Taupe. I've said it before and I'll say it again, I'm an eyeshadow junkie, it's my 'thing' and it's what I love. I got these from the reduced section at Sephora back in October but I know that the line is still sold on their website and possibly other online stores. Firstly I adore the packaging and the design printed into the eyeshadow. I realise it's ridiculous but it's things like that that make me begrudge ruining when I start using them. 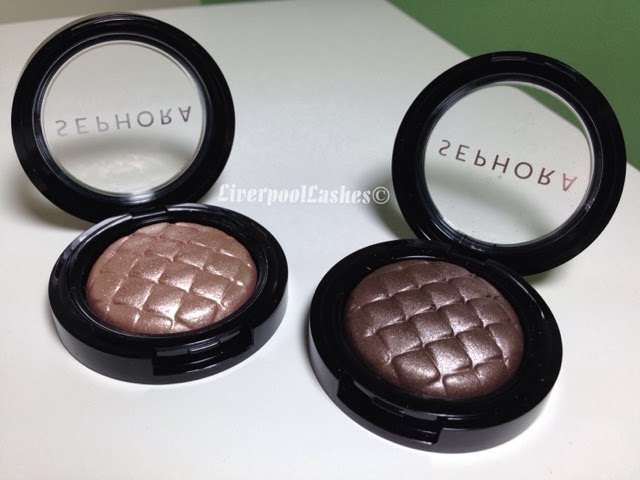 I was delighted to find that both eyeshadows are extremely pigmented and very creamy. This literally makes me think that if you told me they were Urban Decay products I would totally and utterly believe you. 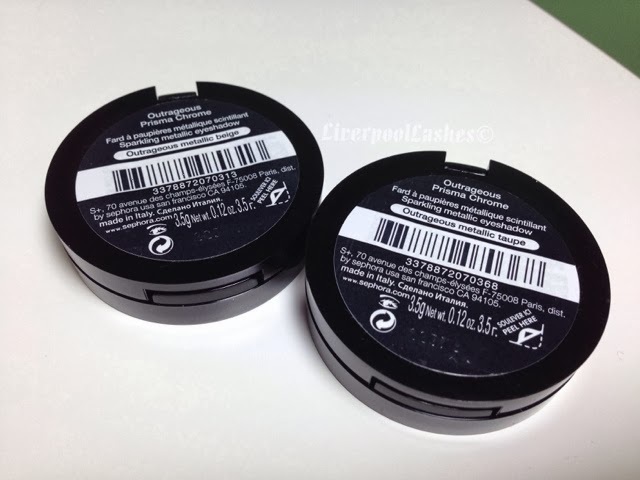 They blend well, the colour lasts all day on me just like a high end shadow and overall they're completely gorgeous. 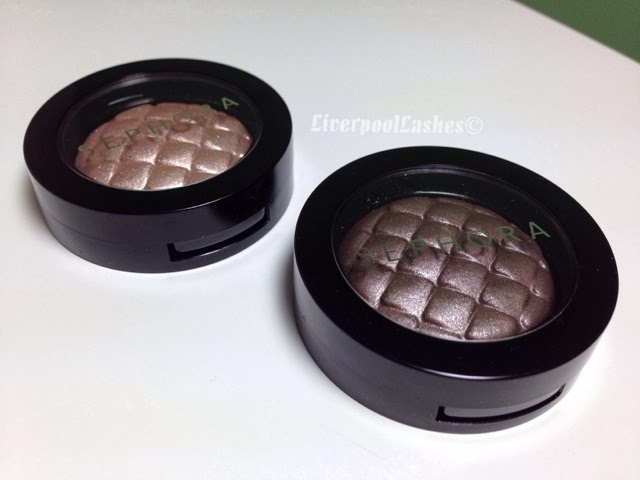 Sadly this morning I actually dropped Outrageous Metallic Taupe on the floor and it snapped right out of the pan.. Initally I was gutted until I realised that although it had fallen out, only a tiny piece had broken off and because they're so creamy I was able to press the shadow right back into the pan. I swear that you can't tell I ever had a problem with it!! The bottom line is... if you have access to Sephora and locate stock, get them. There's just no other way about it, I think you should buy this eyeshadow if you think it's something you'll use - I don't think you'll be disappointed.